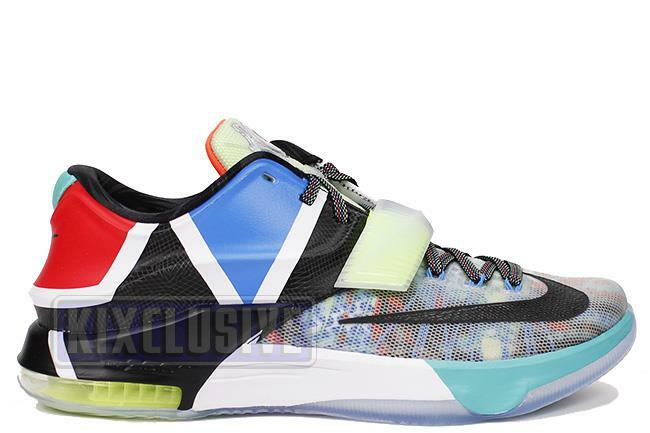 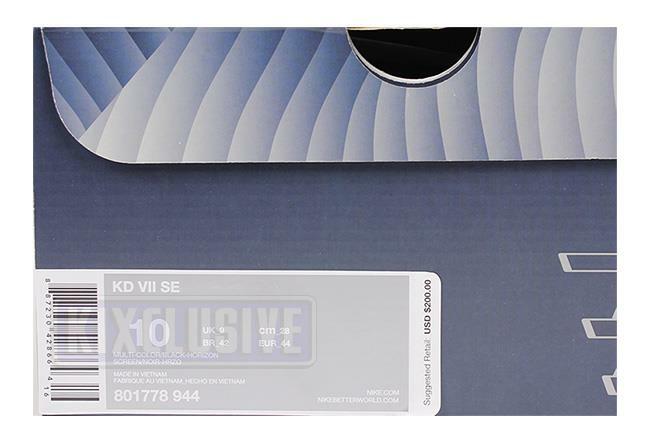 Info: The KD 7 silhouette gets the beloved 'What The' treatment for the third time. 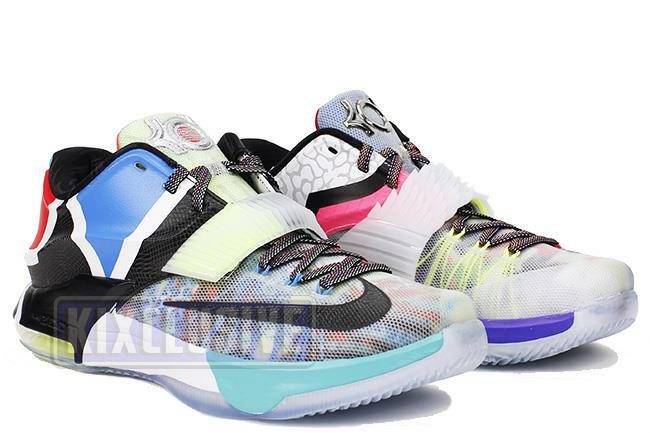 This crazy mash-up of KD7 releases from the recent past incorporates alternating straps from the Aunt Pearl and Zoom City renditions, an array of vibrant graphics on the upper, and some new graphic prints on the Hyperposite heel with glow-in-the-dark effects. 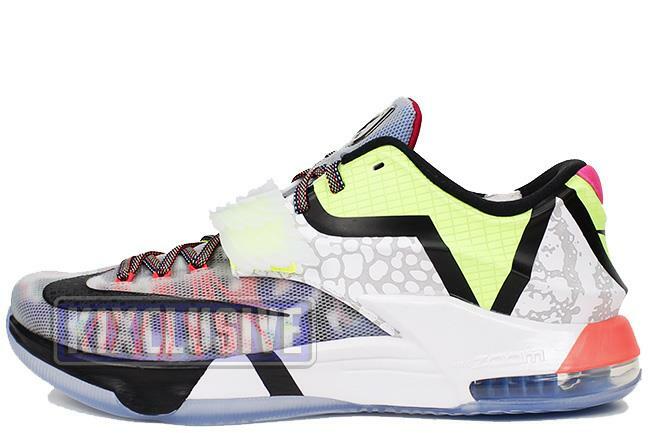 June 2015 limited release.